South Africa is one of the leading wine producing countries in the world. Therefore, it is only appropriate to take the opportunity to learn more about this industry when you are visiting Cape Town. 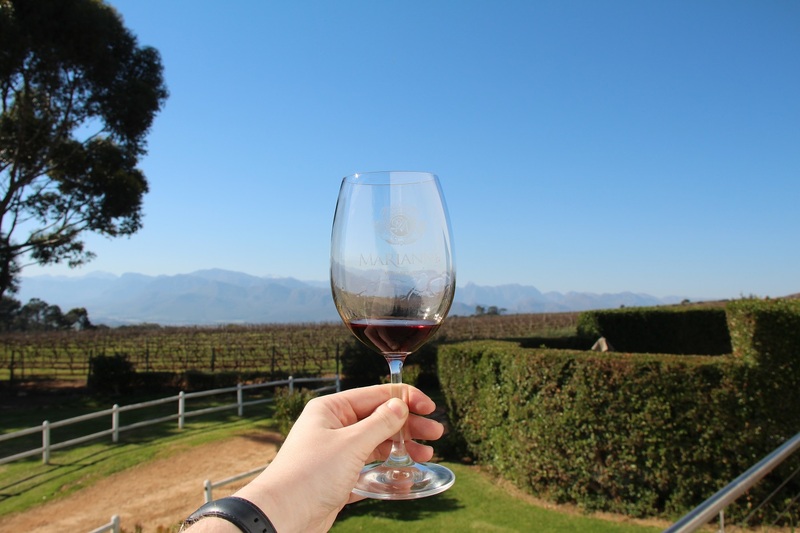 A great way to explore the Winelands, Stellenbosch, Paarl and Franschhoek, as well as some of the numerous wine estates, is on a full-day tour. One of our German interns, Anna, recently enjoyed this experience and has written this blog to prepare you for what to expect. You will get picked up early in the morning by your guide and together with the other travellers, you will make your way towards the Winelands. 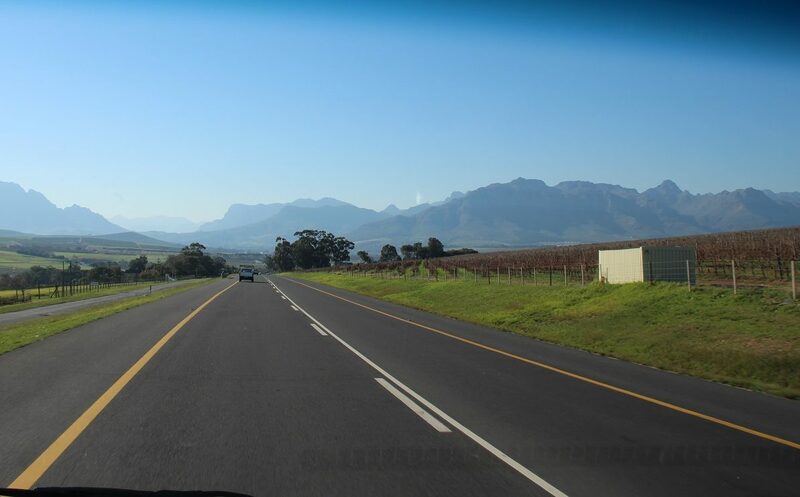 During the drive, your guide will tell you more about the history of wine in South Africa as well as various sights along the way. The first stop of the tour is the Zevenwacht Estate. It is a modern wine farm with a 300-year history. The name “Zevenwacht” is Dutch for Seven Expectations. You will be able to try the first white and red wines of the day together with different cheeses. After the tasting, you get a chance to explore more of the estate during a cellar tour. The next stop of the day is Stellenbosch. The university town is located 50km east of Cape Town. It is the second oldest town in South Africa and named after the Governor Simon van der Stel. 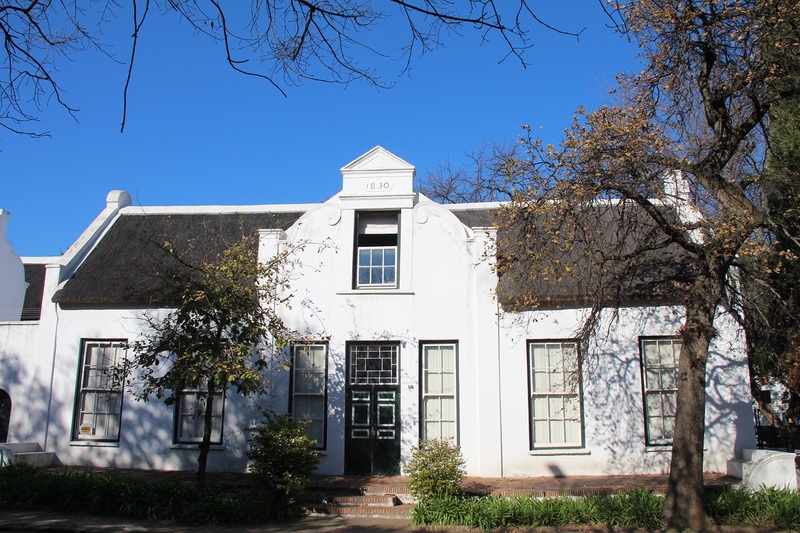 Stroll down Dorp Street and enjoy the mix of Victorian and Cape Dutch architecture. The streets are lined with oak trees, galleries and cafes. The town feels a lot more relaxed than the busy City Bowl. It is truly a charming town and you might wish you could have more time to try all the restaurants. But the explorations will have to wait for another time as you will continue the tour to the second wine estate. After a 15 minute drive through farming land and incredible scenery you will turn into the driveway from the Marianne Wine Estate. After a short drive along rows of lemon trees, you arrive at the tasting room. Here you can not only admire the next wine tasting but also the magnificent view of the vineyards and mountain ranges in the background. You will be invited to a Wine and Biltong pairing at the estate and have the opportunity to try Springbok, Kudu and beef Biltong, an exceptional experience. Another highlight of the trip is a short ride on the Franschhoek Tram. The Tram offers hop-on-hop-off tours through the Franschhoek Valley, this short trip will give you a taste of that experience. You will be greeted with a glass of wine and can enjoy the short but sweet ride in the iconic tram before your guide will pick you up to drive you to Franschhoek. The name Franschhoek originates from Dutch and means “French Corner”. This is due to the French Huguenot settlers that fled France in the 1680s because of religious persecution and they started growing grapes and producing wine in the Western Cape. You will drive past many of the original Cape Dutch farmhouses and seemingly never-ending vineyards. After a short drive through Franschhoek you will stop at a restaurant for lunch. 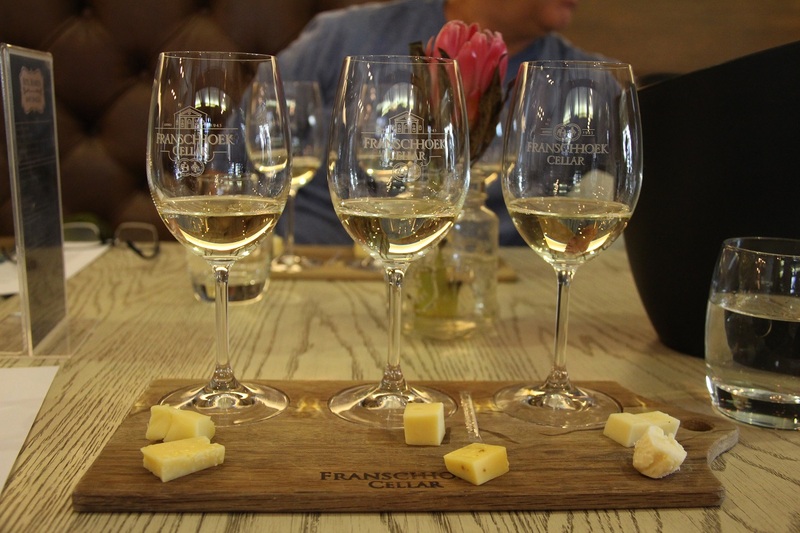 The last wine tasting of the day takes place at the Franschhoek Cellar. Here, you will finish your wine experience with three white and three red wines as well as six different cheeses. At this point, you will have bonded with the group and it is a nice opportunity to come together over wine one last time. And before you realize, it is time to make your way back to the city, but as the sun slowly goes down in the background you will stop one last time. Situated between Franschhoek and Paarl is the Drakenstein Prison. This is where Nelson Mandela served the last 14 months of his imprisonment before he was released on 11 February 1990. A statue in front of the prison reminds you of that part of the South African history. On the 40 minute drive back to Cape Town you can make use of the complimentary Wi-Fi on board to share gorgeous pictures with your friends and family or just soak in the incredible scenery. Anna says “It was a fantastic day and I can highly recommend this tour.” To learn more about or to book it click here.